Mac n’ Cheese Candy Canes « Gluttoner: You gonna eat that? It’s pretty well established that macaroni and cheese (or mac n’ cheese as the cool kids call it) is the greatest comfort food of all time. Fact. But there’s 2 and only 2 problems with it- it’s not portable and it’s not candy. Problem solved. 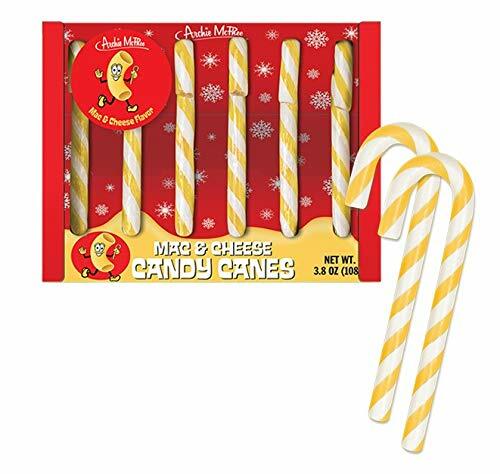 These Mac n’ Cheese Candy Canes combine all the flavor and goodness of Mac n’ Cheese with the seasonal sweet deliciousness of the candy cane. The perfect combo.